Communities across the world rely on a sufficient quantity of safe, accessible water from sustainable ecosystems for their continued prosperity. 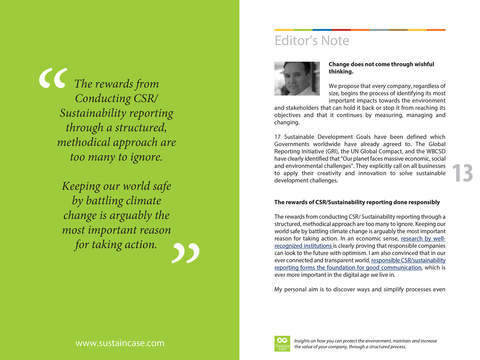 For Coca-Cola and its bottling partners, water is equally important. It is the primary ingredient in its products, it enables its manufacturing processes and it is fundamental to the cultivation of the diverse crops Coca-Cola depends upon for its beverage ingredients and, in some cases, even its packaging. Coca-Cola is a global company, with its products sold in more than 200 countries and territories. 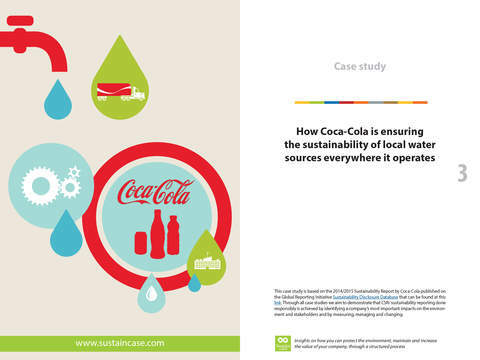 Where it can, Coca-Cola utilizes a localized operational approach as much as possible – making its products in the same markets where it sells to its customers. 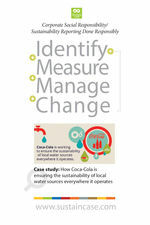 This creates a business imperative that complements Coca-Cola’s ethical drive: Coca-Cola is working to ensure the sustainability of local water sources everywhere it operates. Tweet This! 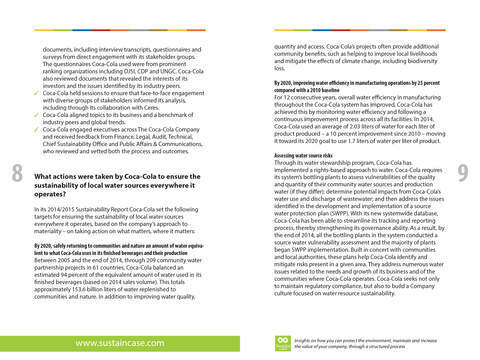 After measuring and setting targets, Coca-Cola took action to safely return to communities and nature an amount of water equivalent to what Coca-Cola uses in its finished beverages and their production, improve water efficiency in manufacturing operations, assess water source risks, recycle and treat water and, also, engage bottling partners, government agencies and surrounding communities in India to help replenish water resources.